This was the final book to read for the Little House RAL, hosted by Bex @ An Armchair By The Sea and Lynn @ Smoke and Mirrors. It was my first time reading Pioneer Girl, and I had to borrow a copy from the library, which meant I could not write in it. If you are a Laura Ingalls Wilder fan or a Little House fan, it makes sense to own a copy; one of these days I will get one, too. 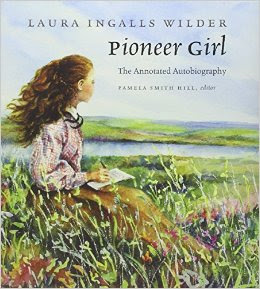 The book includes the story of how Laura intended her autobiography for an adult audience; how her daughter, Rose, played a major role in editing Pioneer Girl; and eventually how mother and daughter developed The Little House juvenile book series, using Laura's life stories from Pioneer Girl. Next is a section explaining the several edited versions of the manuscript that were never published. And, of course, the entire original Pioneer Girl is incorporated, complete with images and annotations cross-referencing people, places, events, and ideas. Often times, the editor explained where other versions of Pioneer Girl were altered from the original. The autobiography is separated by different places and time periods, similar to the juvenile series. If you had heard or read that the original stories in Pioneer Girl were not squeaky clean, WOW! that is not an exaggeration. One gets a completely different sense of Laura's world in the adult version, and it is not totally peaceful, safe, or innocent. I also sensed the Wilder family's deep financial burdens and dreadful poverty. No wonder Laura was anxious about money. While Pioneer Girl was not published after it was written in 1930, many of the stories were used for the Little House series. Rose helped decide which stories to remove, keep, or alter. Some people were morphed into one character, like "Nellie Olsen." Apparently, Laura knew a few Nellie Olsens in her lifetime. Many of the earlier stories were very different from the series, but as Laura wrote about her later years, it was refreshing to see more stories remain the same, such as Manny driving out every weekend in winter to pick up Laura at the school she taught. There were some discrepancies in dates, places, ages, or people, and the editor noted if she could not find proof or Laura did not recollect her memories exactly. While writing Pioneer Girl, and knowing that Rose was editing her work, Laura included personal notes in parentheses to her daughter. It almost began to feel like a long, intimate letter from mother to daughter, as if Laura were only writing to Rose, and for Rose. In June the wild roses bloomed. they were a low-growing bush and, when in bloom, the blossoms made masses of wonderful color, all shades of pink, all over the prairie. And the sweetest roses that ever bloomed. As I have already said, Pioneer Girl is something every Little House fan will want to keep in her library. It is more like a resource guide that you would keep for specific reference. I cannot wait to get my own copy. Unfortunately, it has only been a week since I finished this, and I am already going through Little House withdrawals. Wow, I knew there was more to her story, but I didn't know about this autobiog! Love the Little House series...I might feel hesitant to learn the "full story" behind it, yet from your review it sounds like this book enhances the series more than anything. Added to my TBR list! MH, I was reluctant to read this one until this read-along project. I thought I would hate Pioneer Girl, until I realized how valuable it is. 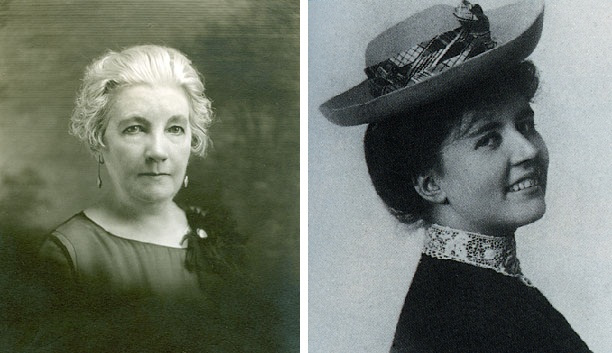 I still prefer to keep the Little House series as I know it in my heart; but again, if you are a Laura Ingalls Wilder fan, it is something you will want to know more about. I got this for Christmas last year but never got far into it before being waylaid by other reading projects. Hoping to pull it out again in 2017 and read it for real. It's a great big resource or reference book - like an encyclopedia of Laura Ingalls Wilder. Maybe that's how I need to approach it, then. Like read a section or chapter or whatever here and there and not expect myself to read it all in a row.